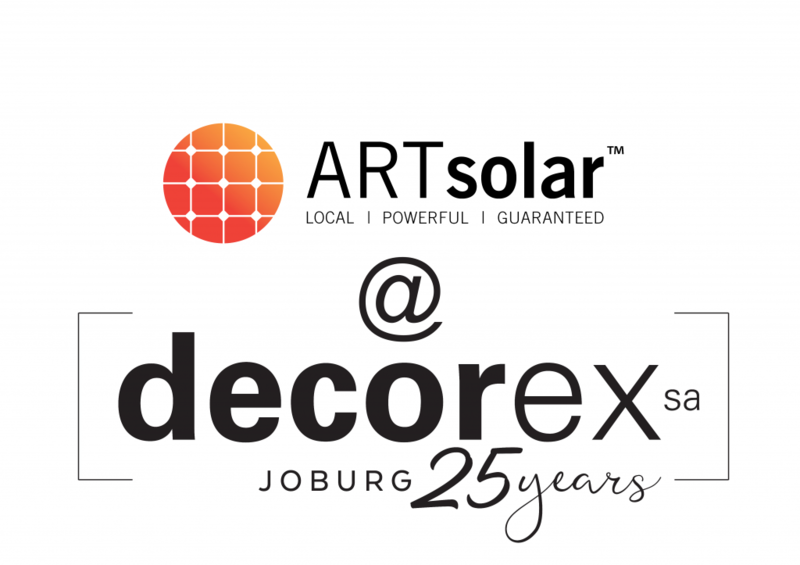 Visit the ARTsolar stand (H19) at this year’s Decorex expo in JHB. Centred around the theme, ‘Rhythm of life’, Decorex Joburg 2018 is set to showcase the city’s premier décor talent and trendsetting design products with over 800 exhibitors across EIGHT exhibition halls within the Gallagher Convention Centre from 8 to 12 August. Decorex Joburg sets the standard in the year’s latest interior and exterior décor with industry experts, high-end products and appliances as well as endless inspiration all in one convenient location. Themed ‘Rhythm of Life’, Decorex Joburg will feature the best 2018 trends in artful creations.